Outdoor camping tents for travel, hiking, hunting, fishing, exploration, tourism tents, emergency rescue tents. 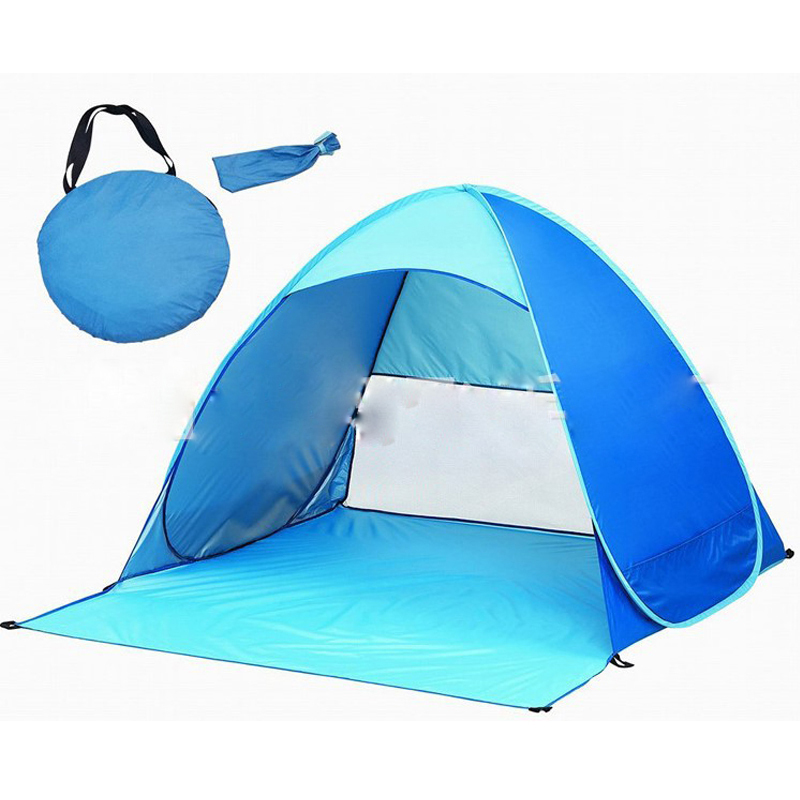 Family beach tent for family vacation and beach and park leisure. No need to build, easy to open and use. The packing is compact and portable, and easy to carry and store. Enough capacity for 2 people. Welcome to print your trademark. Price includes 1 color, 1 side and 1 position screen printing. The size is 57 "L x 65" W x 435/16 "H". Welcome to send inquiries!